The European flounder is also known as Platichthys flesus and white fluke. You can find the fish in the north eastern Atlantic Ocean, which is a part of FAO fishing area 27. However, you can also find the European flounder in European coastal waters, such as the Mediterranean Sea, the Baltic Sea and the North Sea. Our European flounder is caught in the North Sea as well as the Baltic Sea. The reason for this is that there is only a few flounder left in the North Sea. We catch the fish mainly by our own Dutch fishing fleets. However, sometimes we let the fisheries in Poland catch our flounder. As a supplier we sell our flounder fillets black skin off, white skin on and single or married. We also have whole flounder available at our ‘North Sea Fish’-page and breaded flounder fillets at our ‘Added Value’-page. The European flounder can be characterised by its brown blotches and reddish spots. However, the fish can change its colour to suit its background, which is a quite effective camouflage. The European flounder is a whitefish, which is why its flesh is tender, mild and flaky. One hundred grams of flounder fillets contain around 94 calories, depending on the way in which you prepare them of course. They also contain the vitamins B11 and B12, which are necessary for keeping the body’s nerve and blood cells healthy. Just like every fish product, flounder fillets are a rich source of iron and protein too. We mainly export our flounder fillets to institutions in Israel, Denmark and Poland. 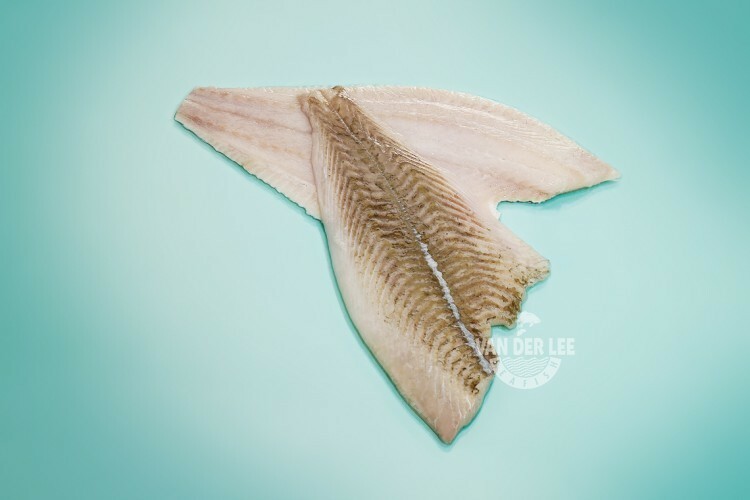 However, some of our flounder fillets are sold in the Netherlands too. The fillets are especially popular in Eastern-European countries. One of the reasons for this is that the most important fisheries of flounder are in the Baltic Sea or the Black Sea, so the fish is caught there a lot. Flounder fillets can be prepared in multiple ways. Some people like to stuff the fillets with other fish, such as shrimps or crabmeat. However, the fish can be baked in lemon-soy vinaigrette or with lemon-garlic butter sauce too. You can also serve flounder fillets with lemon juice, garlic and black pepper.